How to Puppy Proof Your Home Before Adoption is easy when you do just a few simple things before you bring them home. Puppy proofing your house is much like baby proofing your home. Removing items that would be problems, adding puppy-free zones and installing some gates and door locks to keep them out of places they shouldn’t be is all part of this job before you bring your new family member home. Install safety locks on cabinet doors. Just like a little kid shouldn’t get into the cabinets that contain your cleaning agents, your curious puppy doesn’t need to either. Include some simple child safety locks on lower cabinet doors so your puppy can’t nudge one open and get into something that could harm them. Remove breakable items from low shelves and cabinets. Glassware, collectibles, and similar items stored on lower shelves can be an accident waiting to happen for a puppy. Remove or raise those items to higher shelves so your puppy doesn’t accidentally knock something over with an excited wagging tail. Install baby/puppy gates at stairs. If you have multiple levels in your home, a baby gate for the staircases is necessary for their protection. Install one going upstairs as well as one going down into a basement area. While you may take your puppy with you into these areas, you will want to keep them blocked off so they don’t go roaming around without you and get into something they shouldn’t. Create a puppy area for their crate and free roaming. 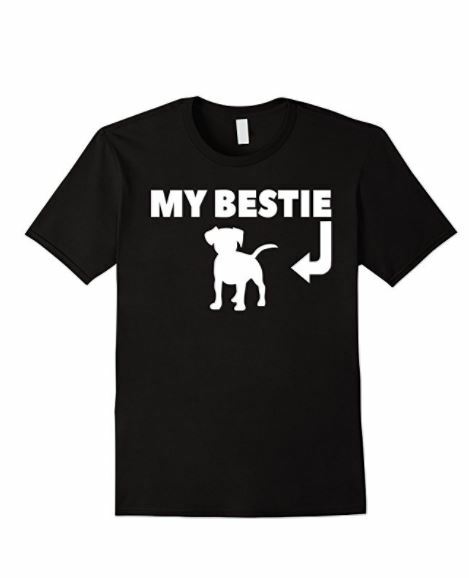 Choose a place for their crate, food, and bed to be located. Make that their area to roam about freely and remove non puppy items so it can become their own little corner of the house. Crate training will become a big part of your day in early months of your life. Remove pillows, shoes, and other loose items they might chew. Puppies often have a lot of problems with chewing anything they an in their early months. For the first few months, you will want to move your throw pillows, anything with tassels and shoes to a safe place where the puppy has no access. Move shoes to bedroom closets with doors locked instead of in entry ways or out and about in the house. 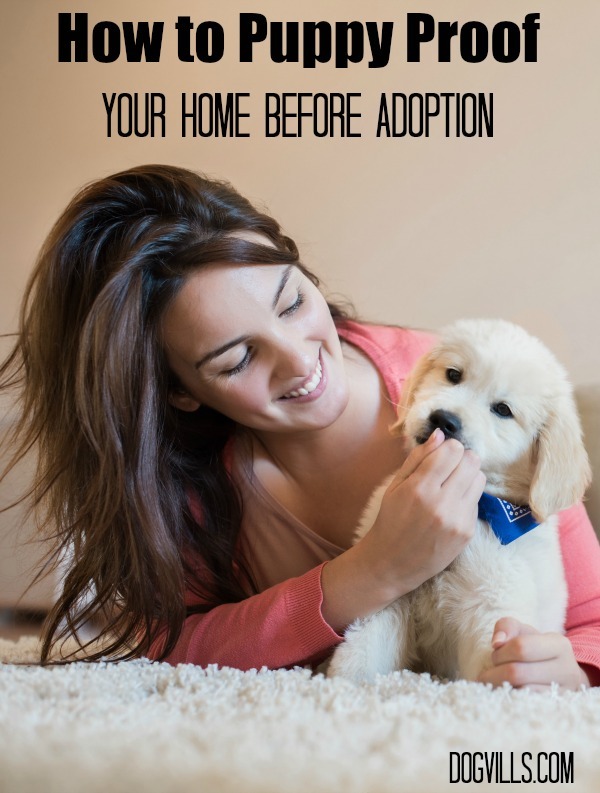 These tips for how to puppy proof your home before adoption will make it much easier to bring your puppy home without problems. Enjoy those first few months with your puppy as he or she learns all about your home and family. Did you ever puppy proof your home before adoption? Share your tips below!